An independent Kurdish state could help defuse ethnic conflicts involving their people across the region in the long term. The Kurds have thus far generally demonstrated a sincere aspiration towards democracy and cooperation with the international community. A Kurdish state with these precepts could become a stabilizing force and productive regional partner. The state of Iraq failed to fulfill its obligation to protect its citizens in the face of the ISIS onslaught. This failure voids the social contract between that state and the people, giving a moral and legal justification for independence. The Kurds are a distinct national group and therefore deserve a state of their own. Will allow Iran and Iraq more governable due to a reduction in the demographics of their populations. Turkey's invasion of Afrin this week demonstrates that without a defined and defensible state of their own, the Kurds will continually fall foul of recurring attacks by regional powers when their influence wanes - now ISIS is mostly defeated, for example, losing the interest of the US - and when local rulers need to stir up hatred of Kurds for their own political ends - as currently with Erdogan. The window of opportunity for Western support diminished with Assad's victory in Syria and Iraqi seizure of Kirkuk. A move towards independence at the current time would likely prolong and intensify conflict in the region by sparking another civil war in Iraq. 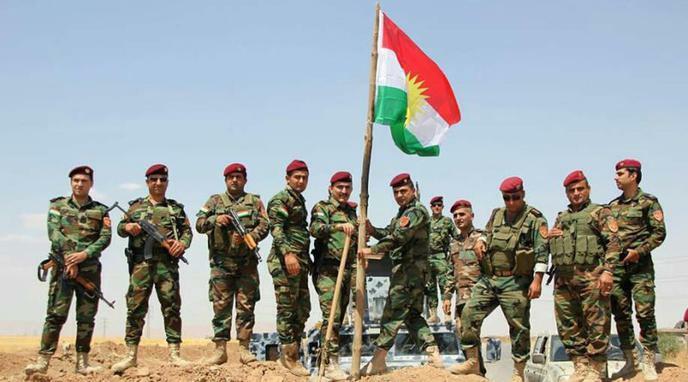 Kurdish forces themselves left Kirkuk. If the forces themselves do not want to fight for independence, foreign support cannot help. Rojava doesn't want to challenge the existing state boundaries of Syria, but marginalises state power and establish a democratic federational system, coexisting with the state of Syria. These ideas are based on writings of Abdullah Ocalan and inspired by Murray Bookchin. No third party country should interfere in internal affairs of another state. History proven us it never ends up well. An exception might be considered if international community considers Kurdish people to be mistreated in their origin country, in such case, countries that sign for it should protect that ethnicity by accepting them as refugees. Both Turkey and Iran are powerful neighbors with a vested interest in preventing the existence of an independent Kurdish state. Their involvement would likely lead to a dramatic escalation of violence.